Laurence Griffiths/GettyRomelu Lukaku said his generation was hungrier for success. Romelu Lukaku said he thinks the younger generation of Belgian national team players aren’t as hungry because they can make good money at a young age. Lukaku did say he’s hopeful for the next generation because they’re skilled and training has gotten better. Lukaku is hesitant to teach younger players everything he knows because he doesn’t want them to take his spot on the roster. Romelu Lukaku decided at six years old that he was going to become a pro soccer player to dig his family out of poverty. “I was just like a man on a mission since I was six,” Lukaku told Business Insider. 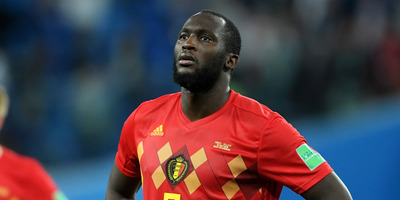 Since turning pro at 16, Lukaku has become a staple of the Belgian national team, the star striker who most recently helped get them to the semifinals in the 2018 World Cup. However, the 25-year-old Lukaku worries that the younger generation of Belgian players doesn’t have the same hunger as he and his fellow countrymen did at a young age. Lukaku says money drove him to go pro. Conversely, he said, because players can make money at such a young age now, the younger players aren’t as hungry. Lukaku is part of what’s been a called a golden generation for Belgium, a group of players that also includes Eden Hazard and Kevin de Bruyne. All three came up through Belgium’s soccer system, which was revamped in the past two decades to focus on consistency and development. Lukaku did say, however, that the next generation of Belgian players is skilled and should have access to better training as technology develops. Regarding teaching, Lukaku said he’s helped younger players learn different techniques, from body position to posting up defenders near the goal. He’s afraid to give too many of his tricks, though, because, at 25, he doesn’t want young players coming for his spot on the team. Lukaku told Business Insider that he plans to play in Euros in 2020 and then he may retire from international football. He doesn’t currently have plans to play in the 2022 World Cup in Qatar. So, after 2020, then the next generation can have his spot. “Two years and then they can have it,” he said.